I can't believe my teeny weeny itty bitty boy is turning ONE already! 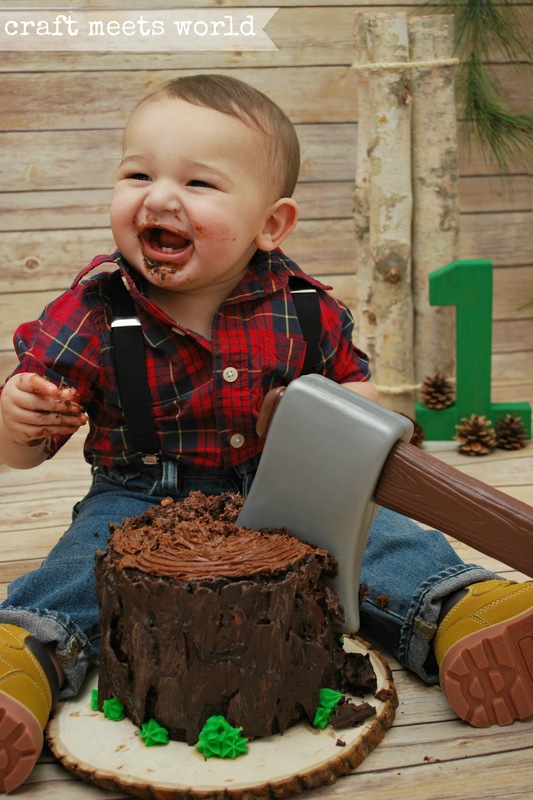 I did his cake smash photo shoot just a few days ago and haven't had the chance to post any photos until now. I made the cake a day before the shoot. 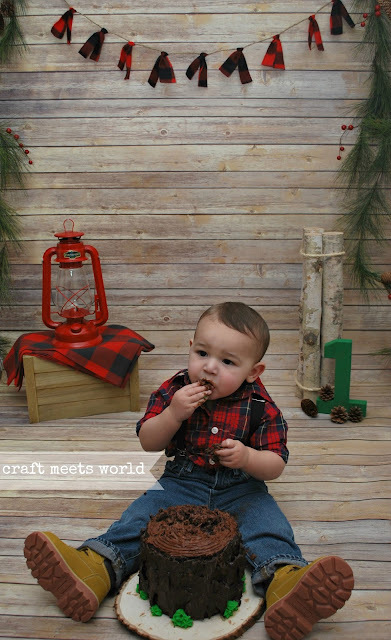 I wanted to go with a very woodland-y feel for the cake since his birthday party is lumberjack themed. 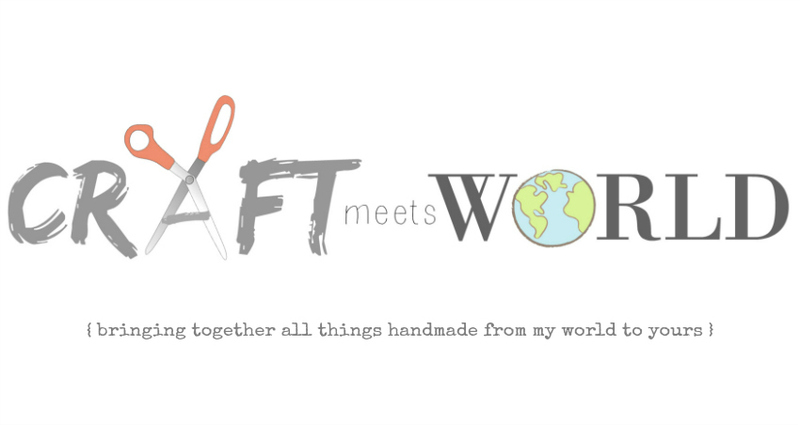 I went onto pinterest and got a bunch of ideas from various pinned photos and tutorials. I ended up deciding on a tree trunk cake. 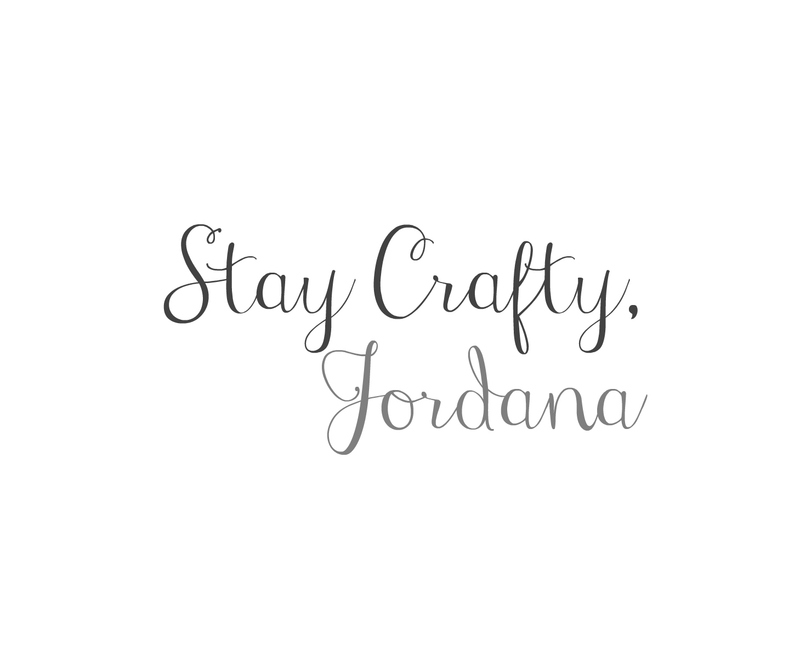 If you've read the 'about me' section of this blog then you already know I'm not a HUGE fan of baking. I'm just not that good at it or maybe I don't have enough patience for it. The end result always turns out pretty awesome, but I screw up left and right in the process. Sometimes I even have to start from scratch various times over before getting it right. Baking is fun-ish when the results look and taste great, but it's definitely something I need to work on. It was all chocolate on the inside. 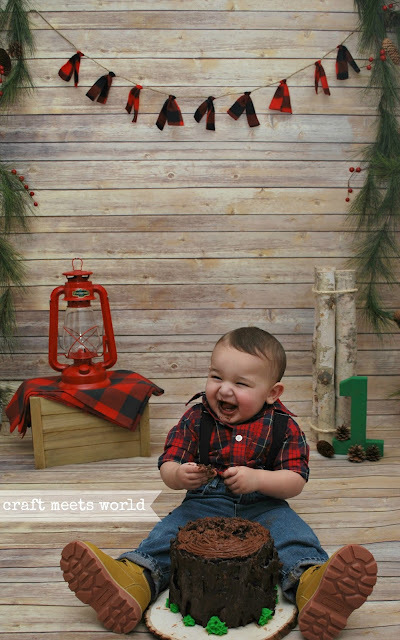 Lennon seemed to really enjoy it and I was pretty thrilled about how it turned out. Here is a tutorial on how to make this cake more or less. 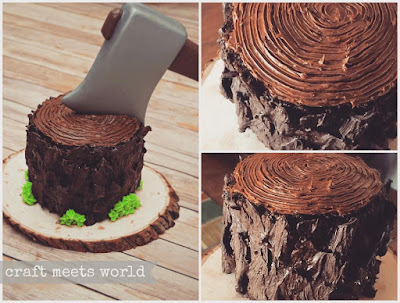 My version wasn't made exactly like hers but I did use her technique for the dark brown bark looking pieces around the cake. 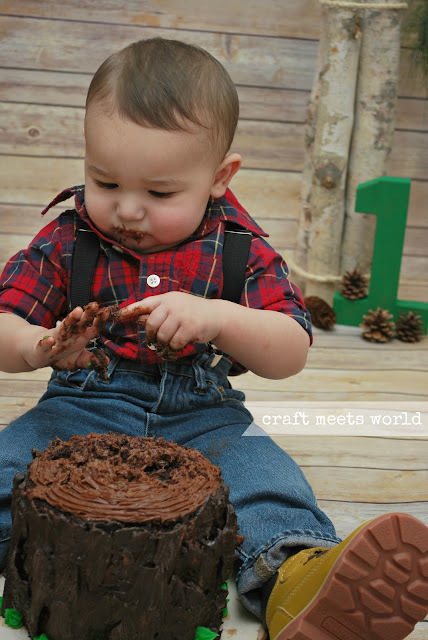 If you want to recreate a lumberjack cake smash photo shoot like this one then I'll include a list down below stating where I purchased everything. 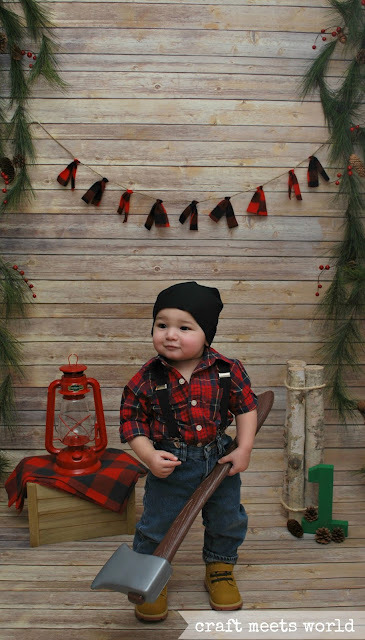 The wooden crate under the lantern is from Walmart and I made the buffalo plaid banner using twine and cut up fabric.